Get The House That Fulfills Your Dreams! We are very happy with our Village Life home…my wife got her room downstairs and I have my big bonus/media room. Chris, the real estate agent was very professional in the dealing from start to end. 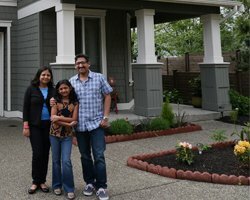 We would certainly recommend Village Life to our friends and family; they will get the house that fulfills their dreams. I feel Village Life stands out from others builders because of their craftsman design. It’s just a better flow of the houses on the street line; soft but tasteful design that really appeal to us. And Gabe went far and beyond his responsibilities. Village Life has an attention to small details and care about the people living in the home. The customer service was excellent! Their continued service even 1 year after purchasing my home amazes me. Yes I would recommend Village life to my friends and family and already have. We are so happy with our Village Life home. The quality, lot size, home size, and price were outstanding…Love it all. My first impression was very positive. I have been looking at homes since 2004 and this is the first time I saw a neighborhood that I could not find something to improve on. My favorite thing about my new home is the coziness and the craftsmanship. I’m already a 2nd time Village Life home owner — we did a lot of searching but couldn’t beat the quality and style from Village Life in this area. The experience of working with Village Life has been extraordinary from start to finish. 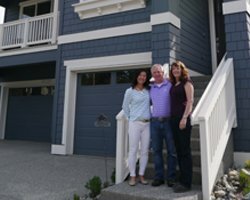 We bought our beautiful home at the Sierra Hills community in Bothell and the builder has been extremely accommodating to our requests through the whole process. A special mention must be made for Mari, (Seller’s agent) who has been the best. 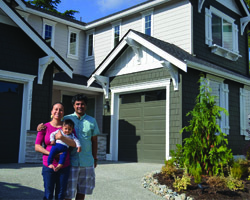 We moved to the Seattle area back in November 2012 and met Christine at one of the Village Life properties. After comparing Village Life to the other builders, we decided to buy from Village Life due to the workmanship and unique styling. We moved into our new home in March 2013 and have had zero buyers remorse. Village Life – You Rock! 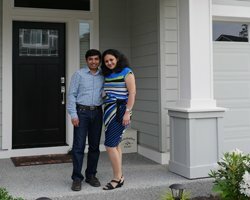 We couldn’t be happier with our decision to go with Village Life for our first beautiful home! This was my 3rd home purchase and was the easiest of all. No hassles or hidden surprises and Mari Chong was always available to answer questions and worked hard to make our purchase happen. She always has a smile on her face. Keith W & Shelly C.
We liked the layout and design of the house, very fresh and modern design. We love our new home, thank you! I like that you people consider minor details. I like the way you utilize the space, designing, thinking about customer taste, updating to latest trend, I like the openness of the house, like the large windows to get more light as well as view, etc. we just moved to the new house and not see any issues as of now :). Overall I love it!! We are happy to recommend the builder.